The Raccoon also known as the Northern Raccoon, Common Raccoon is a widespread, medium-sized, omnivorous mammal native to North America. Raccoons usually live together in small, loose groups. Their original habitats are mixed or deciduous forests, but due to their adaptability, they are often found in urban areas where they can be considered pests at times. Raccoons consume a varied diet that includes berries, insects, fruit and small mammals. Raccoons causing problems in your lawn or garden? 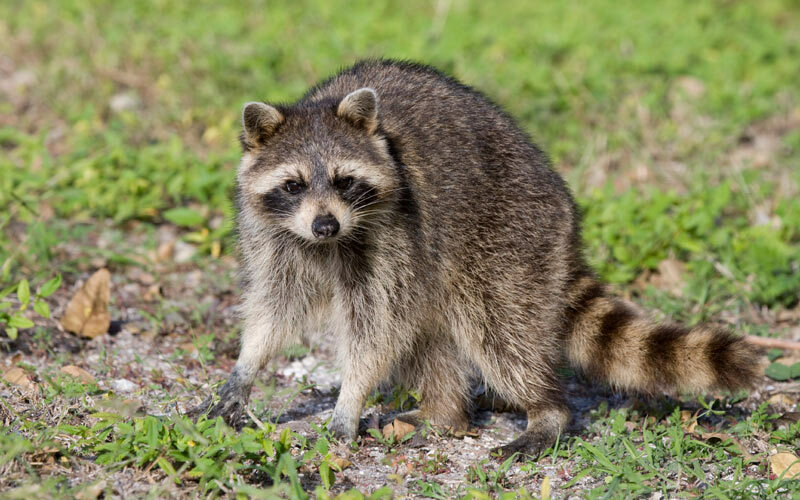 Raccoons like to dig up earthworms in lawns and look for food in garbage cans, cat dishes and birdfeeders. Warning: Raccoon rabies is dangerous to humans. Any animal with suspected rabies should not be approached, the local health department should be notified. 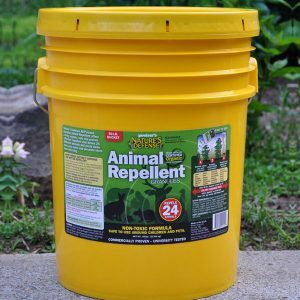 Nature’s Defense is the most powerful form of Raccoon Control available today and your natural solution that is easy to use and guaranteed to work. Now you can use the same research proven formula that professionals use as part of their animal control business. 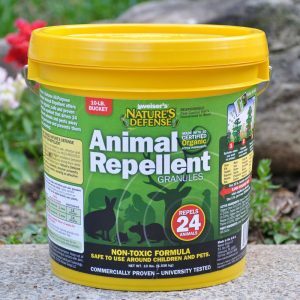 Controlling raccoons is easy by simply sprinkling Nature’s Defense organic formula around the area you want to protect; your raccoon problem will be solved quickly and easily. 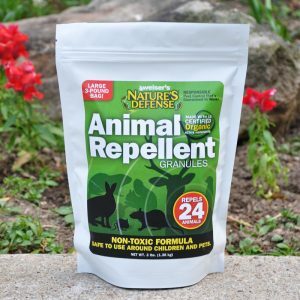 Sprinkle Nature’s Defense granular animal repellent directly over and around the areas that the raccoons are causing damage too. Apply Nature’s Defense twice a week for the first two weeks, then once a week for maintenance.